You may have noticed an increase in the cost of your health insurance premiums year after year. Increases are common, but it is worth your time to investigate whether there are choices you can make to keep more of your money in your pocket. Health insurance premiums go up with inflation, but they also regularly increase out of proportion to inflation. This is due to a number of factors. New, sophisticated, and costly technology helps in the diagnosis and treatment of health conditions, while specialized medications can prolong lives from diseases like cancer. The high price of these diagnostic and treatment options raises the cost of health insurance for everyone. And people are living longer, even with diseases that used to be considered deadly, which means that people with medical illnesses consume more health care dollars. Each year, insurers calculate the cost of paying for healthcare for their covered lives as well as their operating costs. Even non-profit entities pay their executives and staff, and these salaries are all part of their operating costs. Your premium is the income that health insurers bring in to cover all of these costs. Your health insurer calculates the cost of paying for healthcare by developing profiles of their consumers and then figuring out how much each profiled patient type will cost. For example, one profile might be for male children, age 2 to 6. The insurer will determine an average number of doctor visits each child will need, how many vaccinations he will need, how many times he'll fall and need stitches, etc. Another profile might be for women age 50 to 55. An average woman in this age group will need a checkup, a mammogram, perhaps a colonoscopy or a bone scan. She'll need a blood test for diabetes or cholesterol. Even if she's fairly healthy, she may need to take one or more prescription medications, perhaps a statin to prevent heart problems. The insurer will also determine the number of surgeries, medical tests, accidents, and other possible medical needs for each of its profiled patient groups. Using those profiles, multiplied by the number of patients they expect to insure for each profile, the insurer can estimate what its costs will be. Additional amounts for expenses and profit will be added to the total. Then they'll do the math to find an average cost per patient or family. That will be your annual premium. Each participating individual or family will pay the same premium amount, regardless of the health of the individual or family. If you are employed, then you and your employer may share your premium cost. If you don't have an employer to help you pay your premiums, the entire cost will be yours. You may get more out of your health insurance than the amount you pay, but that depends on your health. If you are healthy, then your premium cost is likely to be far more than it would actually cost you to get health care over the course of a year. You might pay thousands of dollars, and need only one visit to the doctor or one prescription. You spend the money on the premiums because you don't want to risk footing the bill for unexpected health events, like a major accident or illness. If you are a bit older, screening tests are recommended each year, and you might come out about even. Your several thousand dollars in premiums might be close to the actual cost if you paid out of pocket for those tests and doctor visits. Still, you spend the money on the premiums because you don't want to risk major expense should you be diagnosed with a chronic disease or get hurt in an accident. If you are sick, then your insurance premiums may be a real bargain. With a chronic disease like diabetes, heart failure, or cancer, your actual cost of care, if you paid from your own pocket, could be hundreds of thousands of dollars. If you are over age 65 and receive Medicare, your care coverage will be a real windfall. You'll get the care you'll need based on the fact that you are past retirement age. For most, you will have paid into that fund throughout your working career. But if you have a chronic disease or are diagnosed with any debilitating disease, your return on that lifelong investment will be huge. When you are fairly healthy or have access to more than one plan through your employer, you can have some control over the cost of your insurance, including the price you pay for premiums, deductibles, and co-pays. Each year during the health insurance enrollment period for the next year, or when you change jobs or insurance coverage, take some time to do the actual calculations to choose the best plan for you. Calculate the costs of your premiums, co-pays, co-insurance, and deductibles to see if you would save money with a plan with higher or lower premiums, co-pays, co-insurance, or deductibles. Pay attention to incentives, discounts, and wellness programs. Many health insurers offer discounts for people who don't smoke, exercise regularly, or maintain a healthy weight. Consider high-deductible, catastrophic care insurance. These plans usually have lower premiums and may work well for people who are mostly healthy. Consider using a Health Savings Account, in which your employer puts aside a certain amount of money for your heath expenses. This type of account can be a convenient way to make your health expenses tax-deductible. Even if you are employed, your income may be low enough to qualify you for government-run health care coverage. Find out whether you are eligible for a state-run healthcare subsidy program like Medicaid or others. 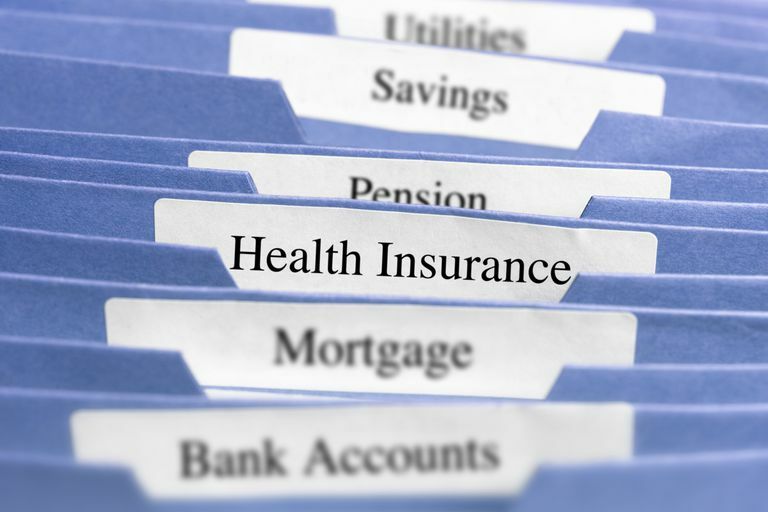 Insurance, including health insurance, is something most people pay for and hope to never use. Yet your health insurance may pay for your preventative care and screening tests. If you are young and healthy, you may not need or be entitled to much preventative care or screening, and if you are older, your insurance may automatically cover diagnostic screening tests. With health care premiums rising in cost, you might decide to save money by paying for a lower cost plan if you don't anticipate getting much health care throughout the year. Yet, there is no way to predict the future, so you will have to make the decisions about the right plan and premium price point and then reassess your needs when it is time to pay for coverage again. Reid N, Bennett W, Coughlin J, Thrift J, Kachur S, Gudzune KA. Evaluating an insurer-based health coaching program: Impact of program engagement on healthcare utilization and weight loss. Prev Med Rep. 2018 Oct 28;12:343-348. doi: 10.1016/j.pmedr.2018.10.024. eCollection 2018 Dec.
Tang X, Honors MA, Fertig AR, French SA, Abraham J, Harnack L. Preliminary evaluation of the Healthy Savings Program: a novel health insurance-based wellness programme to encourage healthy food purchases. Public Health Nutr. 2018 Oct;21(15):2875-2883. doi: 10.1017/S1368980018001659. Epub 2018 Jul 6.